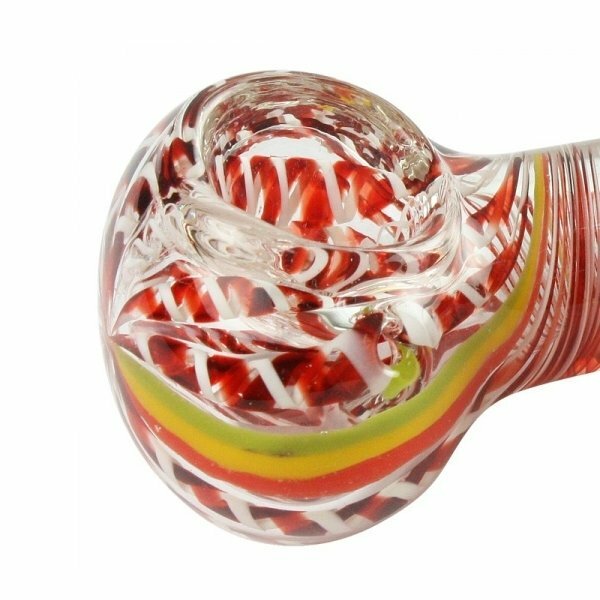 At first glance one could think this is a fat caterpillar with loud colors, but no, it is just a colorful small glass pipe for quick tokes en route. With a length of only 12cm it should be easy to find a pocket it fits in. As archaic as such simple pipes might seem, they are easy to use, effective and extremely handy when time presses.